Many of Costa Rica’s early fathers were former teachers and held the country’s education as one of their primary concerns. The first public school in Costa Rica, Colegio de San Luis Conzaga, is located in Cartago and was made operational in 1869. A focus on higher education was created when President Rafael Angel Calderón Guardia founded the University of Costa Rica in 1941. Costa Rica’s military disbanded in 1948, leaving a large amount of money available to be contributed to the country’s educational systems. The Costa Rican Constitution was amended in 1949 to guarantee free access to primary and secondary education, recognizing the access to a basic education as a fundamental right of all Costa Rican citizens. Costa Rica now boasts over four thousand (4,000) schools, most of them public schools with private schools scattered across the country. Costa Rica is also home to four public state-funded colleges and many private universities. Colegio de San Luis Conzaga, the first public school in Costa Rica. o Primary education is for children ages six to thirteen (6-13). o Children attend six (6) years of elementary school. o Students attend high school for five to six (5-6) years. o Three (3) years of high school are devoted to general education studies. o The remaining two to three (2-3) years of high school are dedicated to either academic or technical specification. o High school students must complete and pass the Bachillerato Tests, which are required to obtain the high school diploma needed to attend a university. All students who graduate high school receive both their Costa Rican Bachillerato Diploma and a title in arts or sciences. 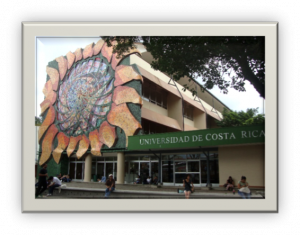 o Students pursuing higher education can attend either public or private universities, both of which are located in Costa Rica. University of Costa Rica (Universidad de Costa Rica), one of the country’s four state-funded colleges. The literacy rate for ages fifteen (15) and older is ninety-five percent (95%); Costa Rica is the most literate population in Central America. 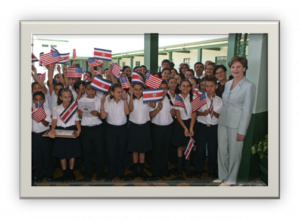 The educational system in Costa Rica is recognized as one of the best school systems in the region. As Costa Rica does not have a military, more of the national budget (approximately 30%) is devoted to the country’s educational systems. Primary and secondary education are free and mandatory for all citizens. College education tuition is generally fifty percent (50%) less than in-state tuition for most U.S. schools, one of the reasons studying abroad is a popular decision among American college students. The Ministry of Public Education (MEP – Ministerio de Educación Pública) administers the country’s educational system by overseeing the public school systems and licensing the private school systems. All elementary and high school students are required to wear a uniform to lessen the economic distinctions between students. All Costa Rican students are required to learn English as well as Spanish. The schools in Costa Rica are closed on national and religious holidays, including Semana Santa, Easter, Christmas, New Years, and Independence Day. Children in rural communities often do not continue school past the 6th grade because they stay at home to work on their family’s farms. To reduce the educational gap for those in rural areas, the government has equipped each municipality with a library, with approximately 100 libraries throughout the country. Costa Rican students in uniform. “Costa Rica’s Education System.” Costa Rica. CostaRica.com, 2 Nov. 2011. Web. 21 July 2014. <http://costarica.com/relocation/costa-ricas-education-system/>. “Education in Costa Rica.” Anywhere Costa Rica. Web. 21 July 2014. <http://www.anywherecostarica.com/sustainable/social/education>. “Education in Costa Rica.” InfoCostaRica: Costa Rica Travel Site. InfoCostaRica.com. Web. 21 July 2014. <http://www.infocostarica.com/education/education.html>. “Education in Costa Rica.” InterNations: Connecting Global Minds. InterNations.org. Web. 21 July 2014. <http://www.internations.org/costa-rica-expats/guide/living-in-costa-rica-15466/education-in-costa-rica-2>. 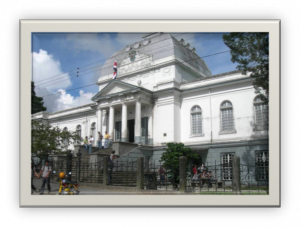 “Educational System.” Costa Rica Law. CostaRicaLaw.com, 17 Aug. 2013. Web. 20 July 2014. <http://www.costaricalaw.com/Educational-System/>.